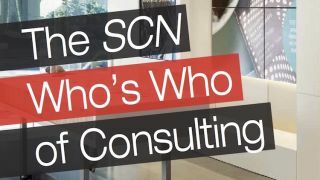 In addition to keeping readers abreast of the goings on in the AV integration world, one of our other key responsibilities at SCN is curating information into resources and guides to help give you a better picture of the industry as a whole. Two years ago, we set out to assemble a comprehensive directory of firms that provide consultative AV and IT services. Last year, we built upon that first step by opening the process to submissions, expanding our guide to nearly 70 companies. Now, we turn again to online submissions to help us continue to grow this resource into a truly all-encompassing list of consultants. Any North American firm, regardless of size, that provides consultation and AV systems design services is eligible for entry. However, the firm must not perform integration or installation services, or sell any products. This includes separate divisions in the firm. We’re excited to continue building this offering to the industry, and we are eager to highlight the scope of talent and ingenuity across the board.